There are times when it feels like biology is destiny. And when it comes to women and urinary tract infections (UTI), there's some truth to that age-old observation. A woman's chance of contracting at least one UTI over her lifetime is close to 50%; once you've had a UTI, you know exactly what it is, how unpleasant and painful it can be and you'll do whatever you can to prevent another occurrence. Here's an overview of the urinary system, how it flushes out waste, and how to help prevent infections. The kidneys sit just below your rib cage on either side of the spine. They play a major role in the body's detox process, helping flush waste from the body through urination. Every day, the kidneys draw out about 1-2 quarts of urine for every 120-150 quarts of blood. 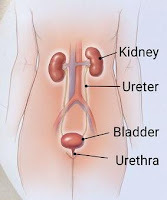 The ureters are thin muscular tubes on each side of your bladder that carry urine from the kidneys to the bladder. Located in the pelvic region, the bladder is a hollow, muscular organ that expands as it fills with urine. Once full, it sends a signal to the brain, and we sense it's time to urinate. It can hold up to two cups of urine. 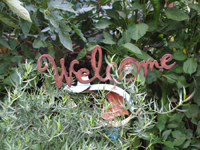 However, every person is different in terms of how often they produce and hold urine and how frequently they urinate. 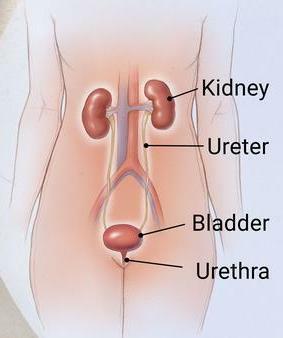 During urination, the bladder empties through the urethra, located at the bottom of the bladder. The muscles of the pelvic region, the bladder muscles, and the urethra work together like a dam to hold urine between trips to the restroom. When bacteria travel up the urethra into the bladder, this may cause a urinary tract infection. The most common type of bacteria found in UTIs is the E. coli bacteria. If the infection spreads to the kidneys and ureters this can cause an upper UTI or pyelonephritis; left untreated it can affect other body systems and lead to serious health problems. Maintain healthy flora in the body. 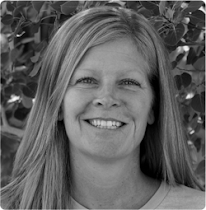 Proper balance of flora is not only important for GI function but for other systems too, such as the urinary system. Consider adding fermented foods to your diet and/or taking a probiotic supplement. Check with your practitioner about the one best suited to your concerns. Stay Hydrated. Fluid intake, especially water, is vital to the health of the urinary tract. Water helps flush bacteria and other waste products from your body. The typical recommendation is to drink half your bodyweight in ounces of water (e.g., body weight = 140 lbs., water intake = 70 oz. daily). Check with your doctor on the proper amount for you. Detox your Diet. You may not think of sugar, caffeine, nicotine, or packaged food as toxic, but they have no nutritive value. Regular use of these items stresses the systems designed to cleanse and preserve the integrity of your health. Go Orange: Get your Vitamin C. Eating foods high in vitamin C has been shown to help promote urinary tract health and prevent UTI. Recurrent UTI are common among 20% of women, with many women experiencing three or more infections a year. The typical treatment is antibiotics, but long-term use increases the likelihood that those medicines won't work against future infections. A natural and effective option is a supplement called D-Mannose, a naturally occurring sugar found in a variety of fruits such as blueberry, apple, and cranberry. This sugar is the reason that cranberry juice is commonly recommended as a UTI treatment; it's a lot easier, however, to get the recommended dosage from a D-mannose supplement. Here's how D-Mannose works and why it's so effective: it attaches itself to E. coli, a bacteria normally found in the intestinal tract but often proliferates in places it should not be, causing infections. D-Mannose triggers the bacteria to bind to it, instead of the urinary tract, and this helps your body flush out the bacteria during urination. Natural medicine practitioners have long been using D-mannose to treat UTI in men and women. Recent studies comparing D-Mannose to both antibiotic and placebo have shown women taking D-Mannose had a significantly lower frequency of UTI and a lower incidence of side effects compared to those taking the antibiotic. Talk with your holistic physician before taking D-Mannose as dose differs based on frequency and duration of infection, age, and other health factors.